On Friday April 23, I spoke to the Covenant Women Bible study group of our church, comprised primarily of young moms, about “Reforming Perspectives on Literature: Becoming Discerning Readers.” Since several other people have expressed an interest in hearing about the subject (in person and online), I will blog through the basic presentation, making changes necessary for this wider audience. Your comments and questions along the way are welcome. The presentation was organized into sections on Defining, Reforming, Discerning, Examining, and Exploring. We’ll dispense with the attention-grabbing interaction and fascinating speaker introduction and get right into the meat of the presentation, beginning by defining some terms. What do we mean when we talk about “reforming”? Reform means “to form again”; to talk about “reforming” then is to speak of forming again. Christian believers with whom I identify speak of ourselves and our Christian faith as being “Reformed” with a captial “R”. We say that the Reformation “re-formed” the Christian faith to bring it back to the Bible. I think of Reformed as a synonym for biblical. The Reformed faith is the expression of Christianity that I believe most closely mirrors God’s Word. God’s Word is just that; it is the Word of God in written form. God reveals himself in two ways” through his general revelation of the created world and through his special revelation of the written Word. The two are not the same, but they are intimately related. John tells us that in “the beginning was the Word” (John 1:1). The Logos or “Word” was Christ who was present and active at creation. By his spoken Word, God created the world. Because he created a world of incredible beauty and variety, we can know that god love beauty and variety. And because he reveals himself and his promises through the Bible, we can know that he loves the written word. 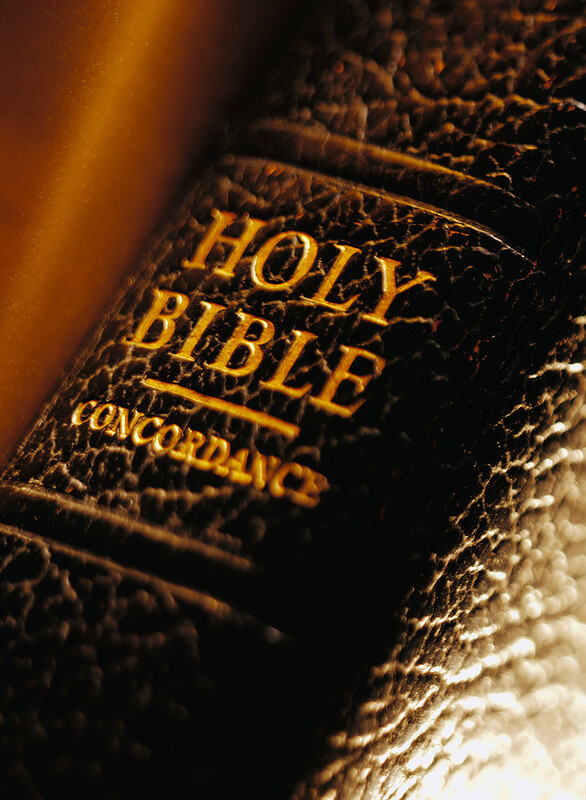 The Bible is the very Word of God, but it is also a book of great literary excellence. It utilizes different literary forms, such as narrative (story) and poetry. Jesus spoke in parables (whish are a kind of fiction). We know that reading literature was acceptable to biblical believers because Paul was familiar with the existing body of literature available in his day. Moses and Daniel were likely well-verses in Egyptian and Babylonian literature. Christ is the Word that became flesh and dwelt among us. We are called to be people of the Word. The Bible is the standard to which we must “re-form” our thinking, our living, and our reading. Gene Edward Veith Jr. writes, “Because the human intellect is fallen, secular knowledge is always partial and in a state of change, and we are in constant need of God’s revelation—the Word of God—which alone is the ground of truth (“Reading and Writing Worldviews” in The Christian Imagination, p. 120). Leland Ryken says, “…the Christian faith provides the right perspective from which to view the world and literature” (“Thinking Christianly About Literature” in The Christian Imagination, p. 32). What do we mean when we speak of perspectives? Particularly in the field of art, perspective describes a way of seeing objects in relation to each other. It can also mean a specific point of view in understanding or judging things or events, especially one that shows them in their true relationships. In our discussion of literature, which focuses on fiction, it is the ability to see things in a true relationship. That true relationship, of course, is how the things in a novel relate to the Christian belief in God. 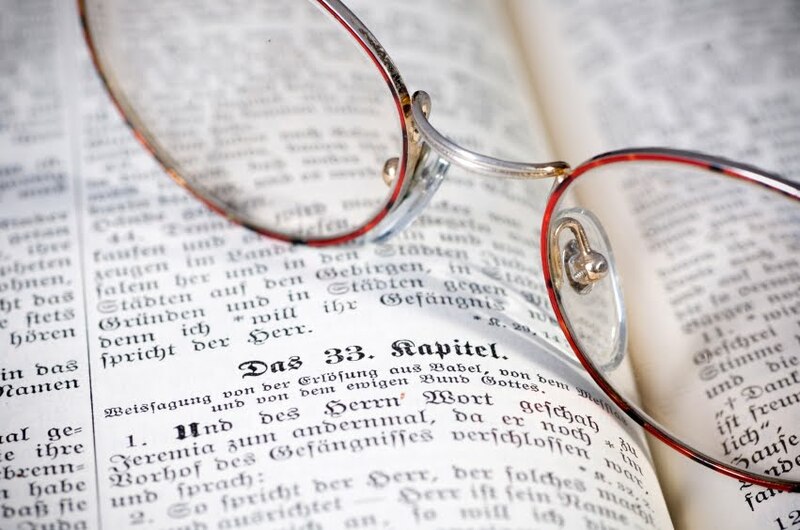 Christians and non-Christians can agree on a host of elements that comprise literary quality, but in the final analysis, it is only the Christian who is ultimately capable of seeing things in a true relationship. Only the Christian bases sight (the way the world is viewed) on faith. T.S. Eliot has written: “It is the function of all art to give us some perception of an order in life, by imposing an order upon it” (On Poetry and Poets, quoted in The Christian Imagination, p. 58). Literature helps us perceive life accurately. Leland Ryken has written, “…good reading is bifocal: first we look at the work and then we look through it to real life” (Realms of Gold, p. 15). Literature helps focus our vision. Aldous Huxley has written, “One of our most ordinary reactions to a good piece of literary art is expressed in the formula, ‘This is what I always felt and thought, but have never been able to put clearly into words, even for myself” (“Tragedy and the Whole Truth,” quoted in The Christian Imagination, p. 234). I believe we can sum up this definition of perspective by saying that the Christian does not look at the world through “rose-colored” glasses; the Christian views the world through what I call “reality-check” glasses—and that Reality is Christ. What do we mean by the term, “literature”? “Literature” can mean different things to different people at different times. All prose and poetry can be called literature in contrast to other types of writing such as scientific writing and news reporting. 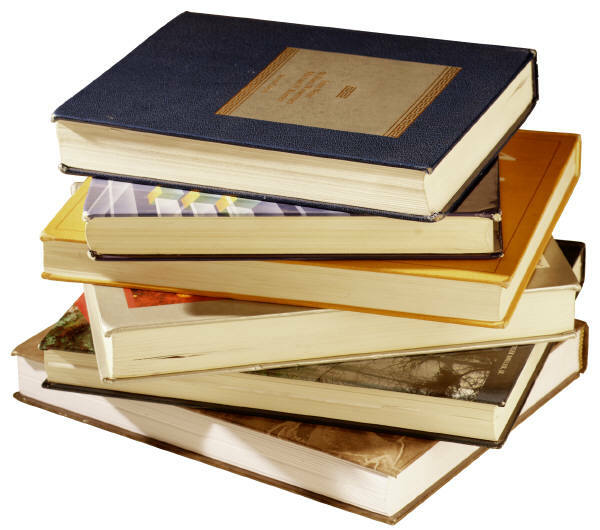 The writings of a particular time or country or region are its literature, such as American or British literature (or more specifically 20th century American literature or 18th century British literature). Writing that deals with a particular subject is that field’s literature, such as “the medical literature.” But the way we’re using the word is to refer particularly to prose or poetry of an imaginative or critical nature that is considered as having permanent value, excellence of form, and great emotional effect. Northrop Frye has written, “The poet’s job is not to tell you what happened, but what happens: not what did take place, but the kind of thing that always does take place” (The Educated Imagination, quoted in The Christian Imagination, p. 56). Great literature has a universal character with which all readers can identify. Just as there’s a difference between “Pretty Little Pictures” (PLPs) and works of art, there’s a difference between Nice Little Novels (which I suppose we could call “NLNs”) and literary masterpieces. What is meant by a “Discerning Reader”? When I consider this question, I think of the Bereans who compared what they were hearing to what the Bible said. Acts 17 says about them, “Now these Jews were more noble than those in Thessalonica; they received the word with all eagerness, examining the Scriptures daily to see if these things were so” (verse 11). The Bereans truly “tested the spirits” as John exhorts us to do in 1 John 4:1. I believe discerning readers need to “test the spirits” of what they are reading. They ought to think about how what they are reading compares to what the Bible teaches. Is this writing true or is it a lie? Does it glorify God or does it glorify evil? But there’s more to being a discerning reader that simply knowing biblical doctrines and knowing how to distinguish between truth and falsehood. God loves beauty and excellence and we should learn to recognize and love these things, too. The priestly garments described in Exodus 28 were “skillfully worked” of beautiful textiles and adorned with gold. They glinted with engraved gemstones of yellow, red, green, blue, white, purple, and aquamarine. God’s purpose in their design was “for glory and for beauty” (verse 40). God’s love for beauty is apparent not only in His Word, but also in His world. Who can observe the glories of creation without marveling at their variety and beauty? The ruby throat of the hummingbird throbbing at the feeder while its iridescent green back gleams in the sun, the brilliant purple of the first crocus splashing color onto a drab landscape, the rugged majesty of a snow-capped mountain soaring into the sky; these all direct our thoughts toward God and fill our minds with doxologies to His glory. In reading—as in all things—our task is to develop discernment and learn to recognize the true, the excellent, and the beautiful. There is nothing wrong in reading purely for enjoyment. A good story first of all entertains. Christian writers are like the Preacher in Ecclesiastes 12:10, who “sought to find words of delight, and uprightly he wrote words of truth.” A Christian reader can delight in the written word and experience pleasure on many different levels. Emily Dickinson wrote, “There is no frigate like a book/To take us lands away.” Everyone needs to escape at times from the chronic cares and concerns of life into the realm of imagination. But there’s a difference between “escaping” and “escapism.” Escaping implies an occasional foray; escapism involves a habitual indulgence to the detriment of more important responsibilities (like work or family). Christians needn’t be afraid to responsibly enjoy literature just as they responsibly enjoy all of God’s good gifts. C.S. Lewis wrote: “the Christian…has no objection to comedies that merely amuse and tales that merely refresh…. We can play, as we can eat, to the glory of God” (quoted in Reader’s Guide Through the Wardrobe, p. 157). A discerning reader is one who “tests the spirits” of what is being read against the truth of Scripture, who looks for excellence and beauty, and who enjoys reading as one of God’s good gifts. My next post will examine the question of why our perspectives on literature need to be reformed. Thanks for reading! >Glenda, I found your post very difficult to read, even with my reading glasses, because the type set is so small. I hope you consider reformatting, because the subject matter is interesting. >Thanks for alerting me to your difficulty in reading the material. I've always posted entries on my blog by simply using the "normal" text setting, but I've gone back and changed the text setting to "large" for these posts. I hope that helps! >I have just stumbled upon your blog, and am so glad to have found it.I am currently working with a small group of homeschooled teenagers, trying to read through a large amount of excellent old books and to discuss them and understand them from a Biblical (and reformed) position.We are hunting high and low for good resources, and I believe that your site will offer us some good help.thanks very much! >Thank you, Missy! I hope it's helpful!